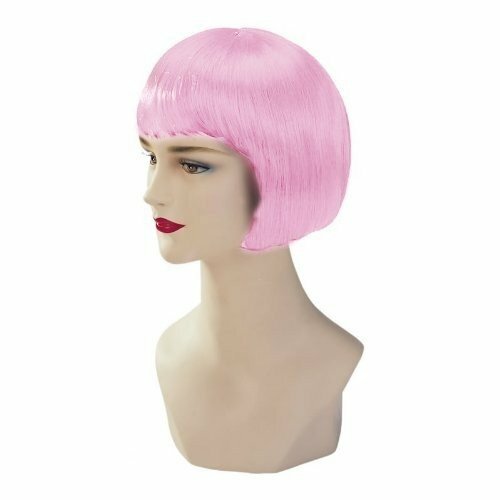 Get the Baby Pink Stargazer Adjustable Bob Style Fashion Wig to match any of the baby pink fashion contact lenses that you choose from Petrifeye. Able to be adjusted, you can fit to your head in a snug fitting that won’t be uncomfortable or shift during wear. This synthetic wig can be washed, combed, and even cut into a shorter style or something funkier – but don’t attempt to use a straightener as it could damage your wig.